I grew up in the funnest little ski town in Utah called Park City. It’s absolutly beautiful–nestled in the mountains and the best place for skiing! During the summer months one of my families favorite activities was (and is) to go to an outdoor concert series by the Utah Symphony held at Deer Valley Ski Resort. Everyone brings blankets and a picnic and sits on the lawn while they play music from whatever artist they are featuring that week. My parents were there earlier this summer with some friends who bought a giant rice krispie treat with marshmallow and chocolate chunks in it. My mom thought it looked like the greatest treat ever, so we decided to make our own version for another concert series that next week! My mom has always been an expert at rice krispie treats. She makes them extra thick and they’re always really soft and gooey! 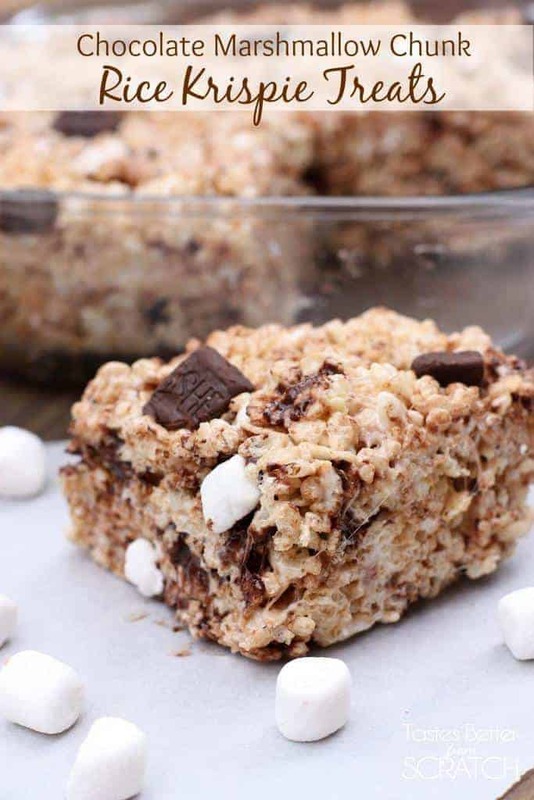 The key is to add a little more butter and marshmallows than a traditional rice krispie treat recipe calls for. 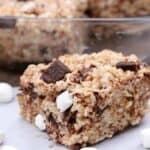 Then we added in some whole mini marshmallows and chocolate chunks and they were seriously the best little treats ever! The ingredients are simple and cheap, and they take about 15 minutes to whip together–a win all around! These sound delicious! 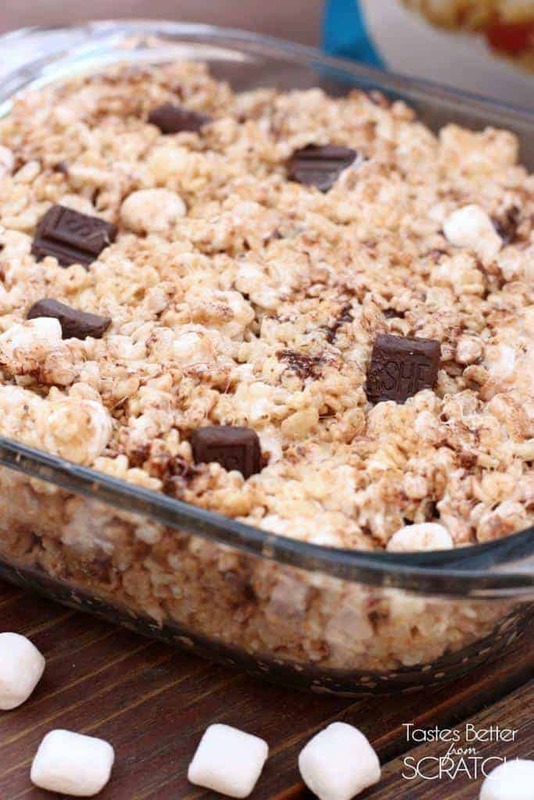 I have pinned to my Dessert board, and plan on making them soon! Thanks Melissa! Hope you like them! Thanks Krisitina, they’re SO easy and seriously YUMMY! Thanks Nisha! Glad you liked it!